Climate FAIL: GISS is presenting 2012 US temperature as 'off the chart', while preventing older data from being archived | Watts Up With That? Like the erroneous graph at California Governor Jerry Brown’s climate denier slam site, here’s another one of those things that I’ve been sitting on for about a week, waiting for somebody to fix it. Since they haven’t, and I’ve given adequate time, I suppose it is time to bring this latest GISS miss to the global attention of everyone. I chuckled then, because obviously it is some sort of data error, and not worth reporting since I figured surely those RealClimateScientists would notice in a day or two and fix it. Nope. But still there a week later? Now it is newsworthy. The average temperature for the contiguous U.S. during July was 3.3°F (1.8°C) above the 20th century average, marking the warmest July and all-time warmest month since national records began in 1895. So, I’m not sure where they come up with 2.53°C since NASA uses NOAA’s data, and one month shouldn’t skew half a year so much, but that is what seems to be happening. Plus they have the 2.53C in the annual mean column, which as we know isn’t complete yet, since 2012 is not complete. GISS makes no direct caveat about presenting monthly data in the section on Figure D, though by inference, they possibly suggest it in the “five year running mean”, but aren’t clear if that is a monthly or annual calculated running mean. 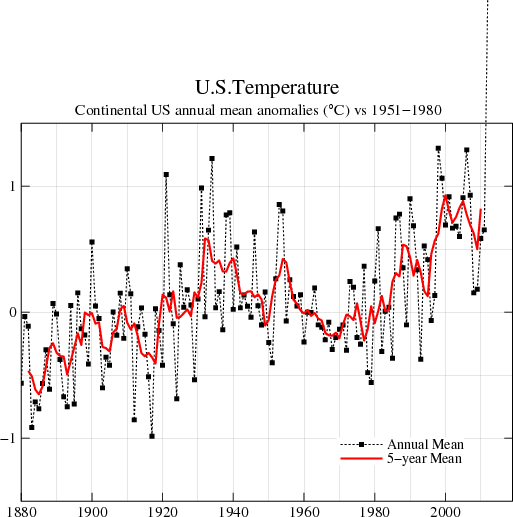 Even so, if that running 5 year mean is using monthly data rather than annual data, updating one part of an annual graph with monthly data (for the annual mean as seen in the tabular data) can be very misleading to the public, and as we know, that page at GISS is used worldwide by media, scientists, and advocates. Therefore, it is very important to present it accurately and not mix monthly data and yearly data types without explanations of any kind. I find it troubling that the publicly funded NASA agency GISS would block archiving of such an important global resource. This is not cool, guys. So clearly, the effect is in 2012 data to date, but why would they plot monthly data to date on a graph depicting annual values? This brings up some points. 1. The current US data Figure D graph compiled by GISS for 2012 is clearly erroneous the way it is presented. 2. The Figure D graph at GISS is clearly being updated with incomplete annual data, since this update showed up on the GISS website on August 13th, 2012. The graph portrays annual data. No mention is given of monthly data. This is wrong and misleading. 3. As before, as I pointed out to Governor Browns office, (now corrected) if I made a dumb mistake like this in a time-series, plotting incomplete months and presenting it as annual data, Tamino and his followers would “rip me a new one” (his words). 4. Why do I have to be the one to keep pointing these things out? Doesn’t the Governors Office and NASA’s Goddard Institute of Space Studies have any quality control procedures for the climate data they present to the public? Apparently not. 5. Why does GISS block the archiving of such important resources like the global temperature data they produce by such public domain services like the Wayback machine? Could it be they don’t want inconvenient comparisons like this one below to be made with their graphs? h/t to Art Horn for the reminder today. I doubt you’ll credit me when you fix this, or even acknowledge receipt of this message, but I’m informing you of the error anyway. Anthony, there’s no error. It’s just the chart doesn’t extend high enough for this year.That’s the data for the year to date, not July. As you can see from this NOAA chart: http://www.ncdc.noaa.gov/temp-and-precip/time-series/index.php?parameter=tmp&month=7&year=2012&filter=ytd&state=110&div=0. The mean temperature for the year-to-date is 56.4F, or 13.6C. The normal is 52.2F, or 11.2C. The departure is 2.4C or close to what GISS is reporting. GISS: data Gone In Sixty Seconds! They don’t know their backsides from their elbows – probably spend too much time on both! But more importantly, as has been said before – I really don’t think they ‘know’ what the genuine/real data is or where it is or what they have done to it anymore………. I ask everybody here to contribute their 2 cents if they have it about the notion that perhaps the 1930s was hotter than today. Also, I’m look for a best reference to use if I want to make that argument. Steven Goddard has been a good source of strong points, if you follow some of links in this google search of 1930s related Steven Goddard articles, that is a start. That is a great “blink” graph. Do you have a source fro the two data. A warmist would never believe it…I need a good source. This obviously shows the role of spurious adjustments to increase the appearance of warming. Get It Somehow Someday ! However this issue gets resolved in the end, we have to keep the big picture in mind, namely what has been happening globally. Basically the answer is not much, even according to GISS. With the GISS anomaly for July at 0.47, the average for the first seven months of the year is (0.34 + 0.40 + 0.47 + 0.55 + 0.66 + 0.56 + 0.47)/7 = 0.493. This is about the same as in 2011 when it was 0.514 and ranked 9th for that year. 2010 was the warmest at 0.63. The highest ever monthly anomalies were in March of 2002 and January of 2007 when it reached 0.88. If the July anomaly continued for the rest of the year, 2012 would end up 10th. In order for a new record to be set in 2012, the average for the last 5 months of the year would need to be 0.82. Since this is close to the highest monthly anomaly ever recorded, it is virtually impossible for 2012 to set a new record. As well, GISS has a flat slope since March 2001 or 11 years, 5 months up to July. Steve Goddard maintaims the “historical reference” site at Real Science.com. It is well worth a daily visit. This “blinking graph” has been displayed for months.Also check out the newspaper clippings from previous times. Historical references seem to be his ‘niche’ in this march for the truth. On a slightly off-topic note, I got a chuckle out of the fact that they point out that the US is 1.6% of the world’s surface area. But, back in 2007, I looked at the data in the GHCNv2, and found that most of the data points come from the U.S.. When I looked at the direction of adjustments in the GHCNv2, the U.S. (and Turkey) really stuck out as the main source. If you do watch the video, you can skip to the last minute to see some interesting stuff happening, especially in the recent two decades. PS: I know GISS is not the same as GHCNv2 but the GHCN data is a major component in their analysis. I haven’t looked at GHCNv2 data in detail, but I would like to know if anyone knows whether they went back and re-generated adjustments to historical data. Talking of Giss, Tom Nelson has posted this little gem. However, this year is worse than we thought. Corrections to my comment: 1) I haven’t look at GHCNv3 data in detail; and 2) The video I mention is GHCN-v2: Geographic pattern of adjustment type for monthly mean temperatures. I’d suggest that readers go to the site for their local weather service and copy/paste or import their area’s list of record highs and lows into a file on their computer. Do it again every few years. (I did it in 2007, 2009 and 2012. I put them all into an Excel workbook.) See for yourself how numbers are being changed. Make you’re own personal “archive”. Anthony, any suggestion as to how or where such records could be uploaded for anyone who may know how to use such information would be able to get it? I wouldn’t expect you to do it. You’ve got your hands full with WUWT plus. Is someone out there already set up to receive such uploads? Anthony, I’m sure you’ve seen that the http://www.real-science.com/wp-content/uploads/2012/01/Fig.D-2.gif graph is not showing up in this article. There are problems with linking to Steve’s graphs at real-science.com, since someone else is now running that site (Steve is now at http://stevengoddard.wordpress.com/ ), and the older real-science.com seems to often be served up by cloudflare, which apparently blocks cross-site linking. (At least, that’s my best guess as to what’s going on that’s breaking your img links.) The same thing is happening at http://wattsupwiththat.com/2012/04/12/envisats-satellite-failure-launches-mysteries/ (one of my many favorite WUWT pages, BTW). Please just download copies of the needed graphs, and store them on your own server, instead of linking to images at real-science. It is basically a mirror copy so all you have to do is replace real-science with the stevengoddard addy and it should run through. Am I alone in not being able to see the archived figure D? I have a blank box with a question mark in it. Only one like that in the posting. And when I clicked on the Steve Goddard link I was treated to some very warmist pop ups. Green gremlins in the works? EVANSTON, Ill., July 2 (AP)— Fear that a possible “weather change” already in evidence may make the United States an arid land in the next few years was voiced hero last night by Secretary of Agriculture’ Henry A. Wallace, who paused in a tour of the drought stricken Northwest. WASHINGTON, March 23—Persons who believe the drouths and devastating floods of the last few years indicate changes in the climate of this country can quit worrying. but climate is the average weather (temperature, rainfall, and such) over a long period, say 100 years. Everyone knows Kincer said, that weather runs in cycles —a few wet days, at few dry days, several weeks of warm weather, or several weeks of cold. Weather bureau records show a decided tendency to warmer, drier winters in the last quarter century, Kincer said, notwithstanding an occasional flood or severely cold winter. Thomas Jefferson was among those who have contended the American climate was changing. Thomas Jefferson, what does he know. He grew tobacco! I’ll bet he was funded by the whale oil industry [sarc]. by J. B. Kincer, chief of the United States weather bureau’s division of climate and crop weather. A climatic cycle, Kincer explained. has brought a world-wide change to warmer temperatures since the turn of the century but it isn’t a permanent proposition. NEW YORK, Nov. 7 (AP)–Worldwide evidence that climate is getting warmer was presented to the American Institute of Physics’ temperature symposium. Nothin’ new under the sun. say …..how about some error bars so we can make fun of those too !! Would they include the “adjustments” in the standard error of the mean or the 95% confidence interval ? Does the 95% confidence interval become the 0% confidence interval since the adjustments are larger than the standard error ? Please explain how does one calculate the standard error of the mean with a sample size of ONE anyway ???? ROFL Garbage In, Garbage OUT — WAX On, WAX Off !!! Thank You. Just what I wanted to know. My guess is that they are ‘projecting’ how hot the rest of the year will be from the firist 7 months. So the hot month pushes up the average and gets replicated for the rest of the year. In effect finding the average monthly anomaly and mulitplying by 12. Thus the one hot month will get counted (almost) twice. Of course, if there was a record cold month they’d make sure it did not get counted twice. 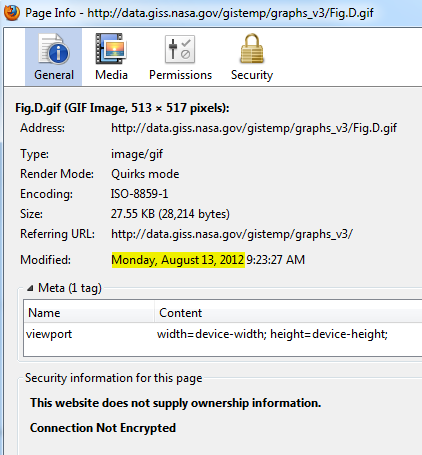 http://www.giss.nasa.gov lists 149 personnel, of whom 30 are NASA affiliated. That makes me feel optimistic that the data is fundamentally accurate. Then I am guessing that you have never worked in a large organization where senior management has taken a position on some matter that is completely divorced from reality. The phrase “don’t shoot the messenger” was invented for a reason, which is that senior management routinely shoots those brave enough to speak truth to power. Being a whistle blower is no easy thing to do, particularly if you have very specialized job skill sets which aren’t applicable anywhere else, and that describes the researchers at NASA/GISS very very well. I’m reminded of the ancient king who has a dream in which each of his teeth falls out one at a time until he has none left. Disturbed, he calls for a wise man to interpret the dream. The first wise man tells him that his life will be a nightmare in which he is forced to watch as each and every member of his family dies. Enraged the king has the wise man beheaded. The second wise man, assuming that by confirming the prediction of the first wise man the king would accept reality, was similarly dealt with. The third wise man thought carefully and then offered this advice. Speaking truth to power is a delicate matter, and while organizations for the most part don’t behead anyone who tells them something they don’t want to hear, they do fire them, and unemployment for someone with a very narrow skill set is rather intimidating. There a reason why a long list of former NASA employees has raised the alarm regarding the antics of GISS in general and Hansen in particular. They are all retired. Pretty good indication that there is something amiss and that current employees fear to speak out. It all depends on who hired whom, who controls the budget of whom, who agrees with Green Whom, and who wants to keep the paychecks coming in…. including source code and results of my ‘code review’ on it, various runs and examinations, and how to run your own personal version if you so desire. It runs on the 2009 (or so) code and data (GHCNv2) and I’ve not had the stability of stomach to force myself through it again to do a ‘re-port’ of the newer code. (If someone wants to pay me to do it, I will, but “just out of curiosity”? … well, I’ve satisfied my curiosity… it’s crap. IMHO of course.) Some of the code clearly dates from about the 1970s-80s and is written in very old FORTRAN so it’s not like the thing changes very fast. Most of the “changed data” results from processes built into the code where changed input data results in changed output of greater / different degree. So, for example, to “fill in” missing data, the stations used for each filling in depend on which stations are ‘nearest’ to the hole. Drop some data from a station that is presently “near”, and a different set of stations will be used to fill the hole in the first location. Creative control of when data / stations are missing can work wonders, IMHO. So, over time, the GHCN has fewer stations. During the baseline period, most data is actually fairly local. Over time, more of the grids / boxes will be filled with “nothing”, so fabricated – and from stations ever further away over time as there are more dropped stations. Another? UHI adjustment is done in a similar way. Changes in stations and / or data in GHCN / USHCN will result in changed UHI adjustment results. It’s just an exorcise is instability of output, fundamental to the way it is designed. As to the question of “Malice or Stupidity?” – well, that gets to motivation and I can not address that. One could have maliciously chosen to exploit that behaviour, or one could be simply a bit too dense to realize it’s a dumb thing to do and “sucked their own exhaust” or as we say in programmer land “believed their own BS”. Others will need to address that question. Having year to date data points on annual graphs also happens on station charts from GISS as well. You think GISS is bad? Try the Aussie BoM or New Zealand’s NIWA for shonky temperature data and data-filing habits! These are supposed to be professional, technically advanced and completely reliable scientific bodies responsible for looking after national temperature records. Instead they behave like tin gods and petty tyrants doing Primary school science projects. They should be sacked the lot of them! I knew about the no wayback copy back in 2008. While you are on a roll correcting various misleading temperature charts put forth by taxpayer funded entities, perhaps you can address the following one that has been annoying me for the last 6 months or so. Regardless of the reason why this chart hasn’t been updated, oversight or otherwise, it is not appropriate for a taxpayer funded entity to provide an outdated chart on such an important subject. @ansgarjohn No secret. You are looking at two different datasets Your URL redirects. Here is how I see this Arctic issue. With the circumference of Earth being about 40000 km, the distance from 82.5 to 90 would be 7.5/90 x 10000 = 830 km. So the area in the north NOT covered by RSS is pir^2 = 2.16 x 10^6 km2. Dividing this by the area of the earth, 5.1 x 10^8 km2, we get about 0.42% NOT covered by RSS. (It just seems to be the north pole that is the issue with low ice, etc.) The anomaly for RSS for 1998 was 0.55, while it was 0.476 for 2010. The anomaly for GISS for 1998 was 0.58, while it was 0.63 for 2010. The relative difference between 0.074 lower and 0.050 higher is 0.124. If it is assumed that this 0.124 is due to 1/230 of the area of the earth, then that part above 82.5 degrees must have been 230 x 0.124 = 28.5 degrees warmer in 2010 than in 1998. There is no way that this was the case. And applying Hadcrut3 statistics to the issue gives about the same results (27.6 degrees). Then there is the issue of why this polar amplification had such a huge affect in 2010 but virtually no effect in 1998. Good point! Then there are both Hadsst2 and Hadcrut3 that have not been updated so WFT can use them since March. Hadcrut3 is being replaced by Hadcrut4. But that only goes to the end of 2010 as well. So how can I tell the time period that Hadcrut4 would show a flat slope if it were up to date? Below is how I got around this problem and if I can help you do something similar to answer a different question, I would be happy to try to help. Most of the “changed data” results from processes built into the code where changed input data results in changed output of greater / different degree. So, for example, to “fill in” missing data, the stations used for each filling in depend on which stations are ‘nearest’ to the hole. Drop some data from a station that is presently “near”, and a different set of stations will be used to fill the hole in the first location. … So, over time, the GHCN has fewer stations. During the baseline period, most data is actually fairly local. Over time, more of the grids / boxes will be filled with “nothing”, so fabricated – and from stations ever further away over time as there are more dropped stations. You also didn’t mention that the robustness of the analysis to changes in the number of stations has been tested and published in the respective scientific publications. You also didn’t mention that, in addition to the analysis with an extrapolation up to 1200 km, the analysis is also done with a more restricted extrapolation up to 250 km, and also for meteorological stations only. This also means that EVERY adjustment / change done “upstream” at NCDC to GHCN and USHCN will have a ‘ripple of change’ through GIStemp and can significantly shift the output (as stations jockey for position in the “adjust and modify” processes inside GIStemp. That is not fully correct. Changes in the NCDC adjustments to the GHCN data don’t have a ripple effect on the GISS analysis, since the scientists at GISS who do the analysis use the unadjusted GHCN data and apply their own adjustments to account for the urban heat island effect. Again, you also didn’t mention that the robustness of the results to larger changes, for instance when the version of the USHCN data are updated, is being tested. Do you have any examples where changes in the data input changed the results of the GISS analysis statistically significantly on a global or larger regional scale? What is your suggestion, anyway? That no updates to older data sets should ever be done, even if there are newer versions available? Or new data should not be included in the analysis, as they become available? “…Anthony, there’s no error. It’s just the chart doesn’t extend high enough for this year.That’s the data for the year to date, not July. And as I pointed out on an earlier post, NCDC shows a 20th century average of 60.4F, or 15.8C. Using that goalpost, GISS’s year-to-date of 56.4 is still a full 4 deg F below the 20th century average. Using NCDC’s average, and GISS’s data, 2012 will end up well below the 20th century average. While this tool may not be thought to be necessary on something as “official” as a page from NASA, I wouldn’t be too sure of that. I’ve seen some fairly official stuff fiddled with in the past. The attacks on “Climate Deniers” will probably escalate as you manage to get more people to actually examine the data and listen to your arguments … so prepare your defenses well! As A says, it’s wrong! YTD and and Mean are NOT the same thing. period. You and GISS and G. Schmidt are telling us that you don’t use autoscaling in GISS graphs, but that you happily draw lines way above the caption if a measurement value goes up enough? Can you please point me to other GISS measurement values and published graphs that behave like that. It must happen regularly as GISS doesn’t use autoscaling. How did you cool down 1934 so much? That’s your masterpiece. Looking at the html source and the excluded data (see: http://www.ncdc.noaa.gov/robots.txt) it appears the graphs are being rendered by a cgi script and thus not archived. This may be unintentional on the part of noaa but it still has the effect of preventing the charts from being archived. The robots.txt file in a web site’s root sets the bot policy of the web site for those bots that respect it. As for showing month-to-date data (7/12 of year) mixed with annual data provides a ridiculous result. Good catch. I love it how Dr. Jan Perlwitz of NASA GISS can just completely ignore the problem pointed out by this post and instead worries about E.M. Smith’s comment of “not fit for purpose” about the GISS 30 year old spaghetti code. You can tell a GISS man, but you can’t tell him much. DirkH: How did you cool down 1934 so much? That’s your masterpiece. Good question. Just how do you come up with a “newer version” of something somebody wrote down on a peice of paper before you were born? Wave a magic pencil at it? If you don’t know the details of the individual sites, you have zero justification in changing the numbers in the records. If they don’t show a hockey stick, so be it. Well at least you folks HAVE temperature data from 2012 to complain about. I wanted to do some comparisons of temps in the Canadian prairies during the dirty 30’s to this year, but the Environment Canada site has no data after 2007. WUWT? but the Environment Canada site has no data after 2007. Clarification: you can search bu individual station with their graphical tool, but it is nigh on useless for comparing different periods of time. There is a downloadable database with access tools, but it ends in 2007. I’d recommend using a much more stable set of thermometers and NOT having the “coverage” drop from over 6000 to about 1200 between the baseline and now. I’d recommend NOT applying the Reference Station Method three times in a row (since it has not been ‘peer reviewed’ in recursion). BTW, you can set the infill distance to 250 or 1200 km, but the default is 1200. BTW, the word “robust” has become a bit of a laughing stock and using it in the same paragraph with playing the Peer Review card is just a bad joke. Haven’t you noticed that in “climate science” peer review is all Pal Review and any old junk gets published as long as it is alarmist? I’d also point out that the Reference Station Method was published based on an application in a small area over a short period of time; then gets used over giant areas of the planet over much longer periods of time, and repeatedly on the same data. The way it is used is NOT what was peer reviewed (as though peer review meant anything any more). So we have one relationship established in one phase of the PDO, then it gets used in a different phase of the PDO when the relationship no longer holds. Just wrong (peered on or not). Then admit that trying to do calorimetry while ignoring mass, enthalpy, phase changes, chemical changes, etc. is just nuts. And make no mistake about it; the attempt to find “Global Warming” is exactly a calorimetry experiment. Just all the thermometers are constantly being changed and moved, the grad student doing the work keeps erasing his records and rewriting new ones, and nobody knows the mass or phase changes. Oh, the system is open, not closed, and with variable heat input that isn’t being measured. Next recognize that “30 year average of weather” isn’t climate. It’s weather. Look up the Kopen descriptions. Climate is determined by latitude, altitude, distance from water, land form. The Mediterranean has had a Mediterranean climate since at least 10,000 years ago. During that time the weather has done all sorts of crazy things. The climate has not changed. Brazil has been a Tropical Rain Forest for millions of years. So long that the species there can not take any frost. The very definition used by “climate scientists” is bogus. They are looking at “30 year weather” and discovering it changes. Well Duh! 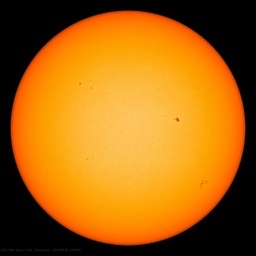 OK, now realize that there are KNOWN weather cycles of 60 years and longer. There are other things, like Bond Events, that run on a 1500 year cycle. There is a lunar tidal cycle of about 1800 years length. So you need to look at several THOUSAND years of data before you can find a trend. Guess what, we don’t have several thousand years of instrumental data. So the whole thing is bogus from the get go. When we do look at a very long duration temperature series, we find that it has a peak about 8000 years ago, then is ‘wobbling downward’ to date. Periodic warms spots (Holocene optimum, Roman Optimum, MWP, etc.) 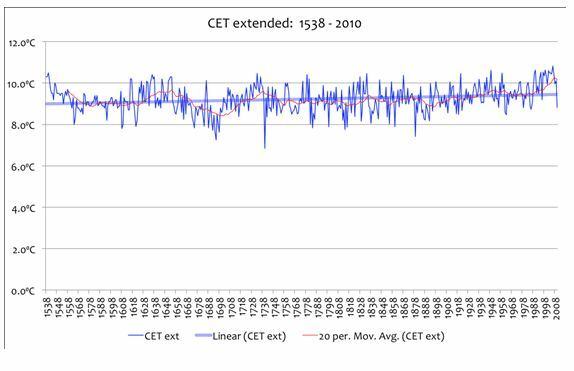 and periodic cold spots ( 8.2 kyr event, 5.9 kyr event, Iron Age Cold Period, Little Ice Age, etc.). But the over all trend is downward. Just very very slowly. THAT is “climate change” and real Climate Science. So I wouldn’t do those things, and certainly not in those ways. gives a fair idea of the present real situation of long term down drift. It does suffer from a small ‘inset’ that pretends to show the present as way out of line warmer; but if you look at the other individual series that make up the average black line, you will notice that they are highly volatile as well and some are quite higher than now. So ignore the ‘hockey stick’ via ‘splice artifact’ and it is a pretty good rendition of where we are headed. Alternatively, run a line along the peaks of the (mostly blue) individual temp peaks and through that 2004 point and note that the “peaks” are on the same downtrend for individual data series. BTW, if you REALLY would like to know “what I would do” with the data, I’ve done it and it is up and posted. It generally finds that individual months go in different directions, even for “warming” stations. Often in quite interesting ways. So how is it “CO2 based warming” if Jan warms, but Feb cools while June cools while October warms… There isn’t a generally wide spread warming. There is a very ‘artifact rich’ pattern of inconsistency that says “data issues” more than anything else. So mostly I’d consider the data FINE for weather forecasting and news reporting. Useless for climate analysis. Both due to way too short a coverage and way too poor a quality. In essence, the first and most lethal mistake made by Hansen (and others) was to think you can say anything about climate, or climate change, based on the GHCN data and a 30 year average of weather. All the rest of their work is just very expensive and very worthless extrapolation of that error in very complex and broken ways. Which earlier post was that? How did you get to the average of 60.4 F for the contiguous US for the 20th century? and take the data from 1901 to 2000 from the table below, I get a 20th century average of 52.8 F.
Brilliant exposition, Chiefo. I’m sure it’ll fall on deaf years as there seems to be something about GISS that makes everyone there stone deaf to science, reasoning, ethics, integrity and a sense of shame. Anthony, could you answer the same? I’ve saved a number of copies of GISS Figure D data over the years. In the past, they did not use YTD data in their annual plots. Their December 12, 2004 annual dataset for example ended in 2003. SImilarly Aug 20, 2003. It’s a common error to use “continental” when “contiguous” is meant. Thanks EM that is a very long winded but concise expose at the heart of this nonsense, thank you. I write to make two comments on your excellent post at August 22, 2012 at 12:54 am. It discusses “Global Average Temperature” (or mean global temperature; MGT) according to two interpretations of what it could be; viz. (ii) MGT is a ‘statistic’; i.e. an indicator derived from physical measurements. These two understandings derive from alternative considerations of the nature of MGT. “If the MGT is assumed to be the mean temperature of the volume of air near the Earth’s surface over a period of time, then MGT is a physical parameter indicated by the thermometers (mostly) at weather stations that is calculated using the method of mixtures (assuming unity volume, specific heat, density etc). We determined that if MGT is considered as a physical parameter that is measured, then the data sets of MGT are functions of their construction. Attributing AGW – or anything else – to a change that is a function of the construction of MGT is inadmissable. If the thermometers (mostly) at weather stations are each considered to indicate the air temperature at each measurement site and time, then MGT is a statistic that is computed as being an average of the total number of thermometer indications. But if MGT is considered to be a statistic then it can be computed in several ways to provide a variety of results, each of different use to climatologists. (In such a way, the MGT is similar in nature to a Retail Price Index, which is a statistic that can be computed in different ways to provide a variety of results, each of which has proved useful to economists.) If MGT is considered to be a statistic of this type, then MGT is a form of average. In which case, the word ‘mean’ in ‘mean global temperature’ is a misnomer, because although there are many types of average, a set of measurements can only have one mean. Importantly, if MGT is considered to be an indicative statistic then the differences between the values and trends of the data sets from different teams indicate that the teams are monitoring different climate effects. But if the teams are each monitoring different climate effects then each should provide a unique title for their data set that is indicative of what is being monitored. Also, each team should state explicitly what its data set of MGT purports to be monitoring. Next recognize that “30 year average of weather” isn’t climate. It’s weather. Indeed so. And the 30-year thing is a misapplication of a definition. In 1958 the International Geophysical Year (IGY) decided that 30 years would be a standard period to compare against in climatology. The chosen period was purely arbitrary and was adopted because it was thought that 30 years was the maximum period of recent weather measurements that then existed with near-global coverage on land masses. This 30-year period was NOT a definition of climate. It was merely a decision on an average period against which later data could be compared. So, for example, GISS, HadCRUT, etc. 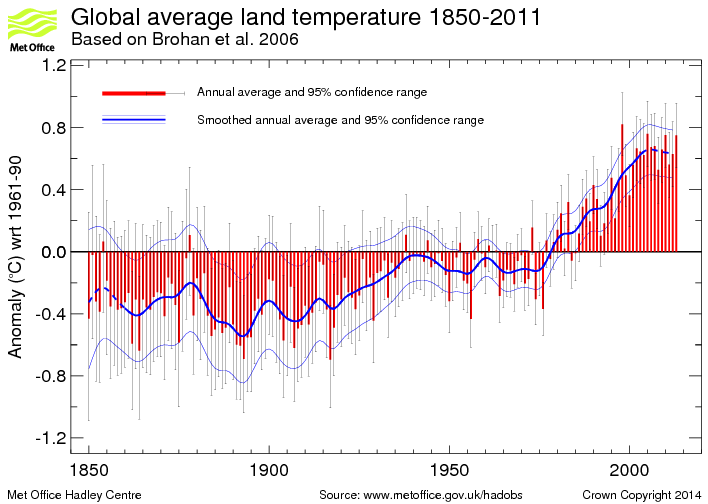 each presents their values of global temperature anomalies as being differences from an average of a 30-year period. And they each use a different 30-year period. And the arbitrary choice of 30-years was made for purely practical reasons and other choices would be preferable; e.g. 30-years is not a multiple of the 11-year solar cycle or the 22-year Hale cycle. A rational choice would be an approximation to a multiple of all known significant climate cycles; i.e. PDO, ENSO, etc. Importantly, a climate datum can be for any period provided the length of the period is stated. For example, average global temperature is stated to be for periods of individual months and individual years. The IPCC used 4-year periods to report changes in hurricane activity. Simply it is a falsehood to assert that a climate datum has a length of 30 years. But this falsehood is often presented as an excuse to ignore ‘inconvenient’ information. A clear example of this falsehood has been debated in this thread. It is a fact that there has been no statistically discernible rise in global temperature over the last 10 years. However, there was statistically discernible rise in global temperature over each of the three previous 10-year periods. Clearly, the statistically discernible rise in global temperature in each decade from 1970 to 2000 has stopped while, importantly, the rise in atmospheric CO2 has not stopped. So, we have had arguments on this thread concerning whether a 10-year period is – or is not – meaningful. Clearly, in this case it is meaningful: i.e. it means the observable global warming since 1970 has stopped. This is an incontrovertible conclusion. Arguments about length of a climate period are merely ways to obfuscate that inescapable conclusion. Any period is acceptable if it is stated; e.g. 4-year periods are acceptable to the IPCC when comparing hurricanes. And that conclusion is important. More than 80% of anthropogenic GHG emissions were after 1940. There was no discernible rise in global temperature from 1940 until ~1970. And the rise from 1910 to 1940 is the same as the rise from 1970 to 2000 when it stopped. This indicates that there is no discernible effect of the anthropogenic GHG emissions on global temperature. So, whenever the ’30-year excuse’ is raised it should be proclaimed as being the falsehood which it is. Seems like the anomaly shown on GISS is correct. Obviously a plot of yearly data made 50% through the final year but still plotting that year is not going to have the final figure for the final year. Of more significance is invalid averaging of 5 years on the giss plots – the red average line should terminate 2.5 years from either end! It is a fact that there has been no statistically discernible rise in global temperature over the last 10 years. So if, in this case, 0.12 C/decade was NOT significant over a 15 year period, I believe we can confidently say that there has been no statistically discernible rise in global temperature over the last 15 years. Below is a plot for the last 15 years from July 1997 to the present. (Three of these have not been updated since March, but that should not have a huge affect on the basic argument.) The slopes per decade, in descending order are as follows. Note that none are close to 0.12 C/decade. Thankyou for your comment at August 22, 2012 at 9:58 am in response to a statement in my post at August 22, 2012 at 3:30 am. I agree with you that the trends over the last 15 years are suggestive of a global cooling over the last 15 years. But, with respect, I point out that I was illustrating a different point and my illustration provided a clear conclusion (n.b. not merely a suggestion). My point was that the common assertion of 30 years as the appropriate period for climatological comparisons is not true because any time period may be used for climatological comparison. 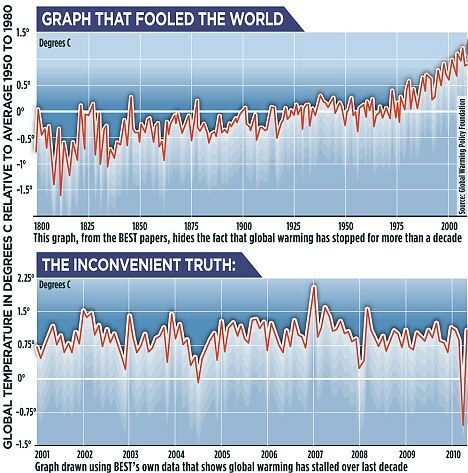 I respectfully submit that anything which is merely suggested by the data is less important than the incontrovertible fact that the statistically significant global warming of each decade from 1970 to 2000 has stopped. I interpret this to mean that for shorter periods than 17 years, there could be so much noise that the warming cannot be detected. However if there is no warming for 17 years, you cannot blame noise any more. You have to face the facts that there is no CATASTROPHIC warming. Or am I interpreting this wrongly? So, we have had arguments on this thread concerning whether a 10-year period is – or is not – meaningful. Clearly, in this case it is meaningful: i.e. it means the observable global warming since 1970 has stopped. This is an incontrovertible conclusion. Let me repeat with my own words. The speaker asserts that each 10-year period from 1970 to 2000 showed a statistically significant warming. He also asserts, the absence of a statistically significant warming in the decade after 2000 implies the conclusion there hadn’t been any global warming after the year 2000, in contrast to the previous 10-year periods. This conclusion was incontrovertible. Now let’s check the facts and then let’s examine the conclusion. None of the trends in the four data sets is statistically significant at 95% probability or above over the 10-year period 1971-1980. None of the trends in the six data sets is statistically significant at 95% probability or above over the 10-year period 1981-1990. None of the trends in the six data sets is statistically significant at 95% probability or above over the 10-year period 1991-2000. None of the trends in the six data sets is statistically significant at 95% probability or above over the 10-year period 2001-2010. So, in none of the consecutive decades 1971-1980, 1981-1990, 1991-2000, 2001-2010 had there been a statistically significant warming trend with a probability of 95% or above. According to the “logic” of the speaker, the absence of a statistically discernible warming trend implies that global warming “has stopped”. Thus, no global warming at all for four decades. Now we get a statistically significant trend with a probability of at least 95% for all four data sets from 1971 to 2010, although, according to the “logic” of the speaker, the absence of global warming in each of the four decades was “incontrovertible” due to the absence of a statistically discernible trend in each of the four decades. Global warming present and global warming absent. Both can’t be true at the same time. It appears to be a conundrum. But it is none. the speaker has just applied the same logically fallacious argument again, which had been applied by him before. The logical fallacy is to draw the conclusion that a trend was absent in a date set from the fact that a trend was not detectable in the data set on a given time scale. This conclusion is logically fallacious, since the non-detectability of a trend in a data set does not logically exclude the possibility that the trend is only masked by noise on the time range of the analysis and only detectable when the time range is increased. The speaker’s asserted conclusion, it was incontrovertible that global warming “has stopped” after the year 2000 is scientifically not valid, since it is based on a methodologically flawed analysis. The speaker’s repeated assertion the global temperature increase before 1940 despite the fact that most of the CO2 emission has occurred after 1940, and the absence of a discernible temperature increase between 1940 to 1970 despite increasing CO2 concentration in the atmosphere were in contradiction to the explanation that increasing CO2 concentration in the atmosphere causes global warming is also false. There is no contradiction here between empirical data and physical explanation given by mainstream climate science. There would be a contradiction, if a linear relationship between CO2 and observed temperature was claimed, and if it was claimed CO2 was the only climate driver that could cause changes in the temperature. No serious climate scientist says such a thing. The temperature record is the result of a combination of forcings from various climate drivers, e.g., greenhouse gases, aerosols, solar activity, land use, plus internal variability in the system. Thus, the speaker’s argument is just a straw man argument, which he has repeatedly applied. Please tell me what must be fulfilled to be able to “discriminate between internal climate noise and the signal of human-caused changes”? I interpret this to mean that for shorter periods than 17 years, there could be so much noise that the warming cannot be detected. However if there is no warming for 17 years, you cannot blame noise any more. So what are you going to say, if it actually needs 18 or 19 years to discriminate between noise and human-caused signal? Are you going to say then that the human-caused signal doesn’t exist, because “Santer et al. said” in their paper “17 years”? Santer et al.’s “at least 17 years” is not a normative statement. It is a descriptive statement derived from the statistical analysis of data from those model simulations and satellite retrievals that were available to them at the time, when the analysis was done. You have to face the facts that there is no CATASTROPHIC warming. Or am I interpreting this wrongly? What do you mean with “catastrophic” warming? How is this defined? Santer et al. don’t say anything about “catastrophic warming”. They speak about the statistical discrimination between noise and human-caused signal. The planet is still naturally emerging from the Little Ice Age [LIA]. Nothing unusual or unprecedented is happening, despite the wild-eyed alarmism of jamokes like Jan Perlwitz. We, on the Upper West Side of Manhattan. We…LOVE you. Send us more money for our Global Warming, uh…theories. Better now than never. We wait for the sunrise. As we do, uh “science” here…uh…we…provide your life with meaning. While Perlwitz goes on with his BS here and railing at Anthony for even daring to suggest something was wrong with the way GISS presented this graph, Reto Ruedy admitted there was a mistake and corrected. This makes Perlwitz look like a fool, not that it needed confirmation. I cannot answer your specific questions since I do not know exactly what Santer had in mind when he talked about the 17 years. My assumption was that if a data set went 17 years with a flat slope, we could be confident there really was no warming that was masked by noise. Now if you want to apply confidence levels, I played around with your site and found that for 160 years on Hadcrut3, there was a value with +/- 0.007. Now the slope was not 0, but if it was, would that mean we could not be 95% certain the slope was actually not 0? Is it possible to have a 300 year flat slope of 0.000 but with an error bar of +/- 0.001? If so, then the whole point of a 95% significant flat slope is totally meaningless. I recall a quote by Ross McKitrick that you can get the probability of a change, but not the probability of no change. For RSS since 1997, it says -0.001 +/-0.248. So let me ask you this question, IF the slope for RSS is 0.000 for 17 years in 12 months from now, what would the +/- range have to be in order for you to say we can be 95% certain there has been no warming for 15 years? And related to your comment above: “None of the trends in the six data sets is statistically significant at 95% probability or above over the 10-year period 2001-2010.” Suppose a trend was actually found to be 0.000. Exactly what would the +/- range have to be for you to conclude there was indeed no warming at the 95% level? What I had in mind with “catastrophic warming” was that if the slope was flat for 17 years, this would not prove that there would not be no warming at all, but rather that the warming would be so little that there was no need for us humans to go to great expense to mitigate it. I am replying to your bloviating post addressed at me at August 22, 2012 at 8:14 pm. On another thread I thanked you for your comedic posts because I enjoy them. However, in the post I am answering you have reverted to your practice of untrue assertions, quotations out of context, and lack of logical ability. The logical fallacy is to draw the conclusion that a trend was absent in a date set from the fact that a trend was not detectable in the data set on a given time scale. I did NOT draw any such conclusion. And your post makes clear that you know I did not because it goes to great lengths to try to dispute what I actually did say. That is NOT a conclusion of “a trend was absent in the data set”. It was a clear statement that the significance which can be applied to any trend has changed such that “the statistically discernible rise in global temperature in each decade from 1970 to 2000 has stopped”. Surely, even you cannot think that behaviour is acceptable. The remainder of your argument concerns whether or not there was “statistically discernible rise in global temperature over each of the three previous 10-year periods”. I iterate for emphasis that this proves you knew you you were presenting a falsehood when you claimed I had made “the logical fallacy” which you assert. Importantly, you define “statistically significant” as being or 2-sigma (i.e. 95%) confidence. That is your choice and it can be claimed to be reasonable because climastrologists often use 95% confidence limits. But any confidence can be chosen, and in hard sciences the more stringent 99% confidence is usually adopted. As you say, using your choice of confidence (or using 99% confidence) then my statement is falsified. However, I did not say what limits I was applying and you did not ask. At 90% confidence my statement is true. I said, “the observable global warming since 1970 has stopped”; it is not “observable” at 90% confidence in the last 10-years but it is in each of the three previous decades. Please stick to comedy: your comedic posts show are good at it. And avoid science: your scientific posts show you are not good at that. Mr. Courtney is trying to obfuscate now. Statement B means nothing else than that there was a global warming trend from 1970 to 2000, which was observable, and then “this global warming, which had been observable before, stopped”, i.e., Mr. Courtney claims a global warming trend from 1970 to 2000, and he claims this trend has not been present after 2000. This interpretation is fully consistent with statements by Mr. Courtney in other threads, where he, for instance, referred to peer reviewed papers to (falsely) claim the authors had admitted that “global warming ceased”. . However, I did not say what limits I was applying and you did not ask. At 90% confidence my statement is true. Does this happen to you often that you are seeing things, which aren’t there? This may require some medical attention, then. Or are you just making up something, deliberately, to throw some dirt? I didn’t say a single word against Mr. Watts for pointing out a problem with the graph. I am answering your pathetic excuses at August 23, 2012 at 9:01 am for your lie which claimed I made a conclusion which I did not. and you assert that I “obfuscate” when I deny that I made such a conclusion and explain what I did say. Clearly, you do not want me to “obfuscate” so I shall be as clear as I can be. I did not draw that conclusion. You cannot show I drew that conclusion because I did not. Your assertion that I drew that conclusion is a lie. So, you are condemned by your own words as being a liar. The remainder of your post is obfuscation attempting to hide your lie. “…Which earlier post was that? How did you get to the average of 60.4 F for the contiguous US for the 20th century? Puts the GLOBAL at 60.4F (61.52 – 1.12). NOWHERE do they ever state a difference between GLOBAL or CONTIGUOUS U.S averages for the 20th century. 1. GISS bases their “average” on a 30 year period of the full century (51-80) and gets 57.2F. 2. The POSTED value for NCDC is still 60.4F. That’s three different values for a 20th century average. Based on that, it appears whoever you use, the 20th century average has a 7.6 degree spread. And the globe has warmed by HOW much? I answer: four things; viz. 1. a brain (and I suggest you borrow one). I offer you the same response and for the same reason. I am willing to correct any mistake I possibly have made with my interpretation of Mr. Courtney’s statements and views, if such a mistake can be shown to me. I’m not infallible. Instead, Mr. Courtney increasingly loses his countenance, and he resorts to insults against my person. I take this as an admission that my interpretation has been correct, and Mr. Courtney tries to compensate this with a lot of noise. There seems to be a pattern in this behavior by Mr. Courtney. I’m going to cite the above statement by Mr. Courtney also in the future as an example where he draws a logically fallacious conclusion from statistical analysis tests. Since Mr. Courtney announced his previous post was his final response I do not expect any further reply by him in this matter. I apologise that I have been out of contact for about a week (WUWT regulars know I often am). I write to make clear that my four points to Perlwitz were completely serious. If Perlwitz did not lack those four abilities then he would know that my above posts show he is wrong. Indeed, I spelled-out what I think Perlwitz is doing in this thread in a post in another thread (n.b. Perlwitz also made posts in that thread). The thread and my explanation were as follows. Please note that my explanation was earlier than Perlwitz final post in this thread. So what action would anyone recommend on this basis? Should one assume it is + 0.16 deg and try to cool things down or should one assume it is – 0.16 deg and warm things up? Or should one just ignore any + or – and wait and see what develops? In my opinion, only the last option makes any sense. “But that is not long enough time to show warming has stopped so we must continue to do something about the warming”. I say that the confidence with which we can detect warming may have been sufficient to act in the past but it is not now. And the alarmists don’t have an answer to that. “no significance” = “no trend”. He is trying to change the subject from what I am saying back to the familiar territory of “that is not long enough time”. Remember, a trend is a statistical construct. And in this case linear trends are being applied to data which is probably cyclical. Hence, the trend itself is probably a mistaken construct. Talking about what was detectable but is not now forces recognition of that. Anyway, I agree your point.